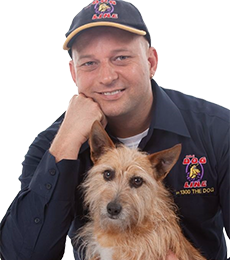 The Dog Line first started helping people with their dog problems and advising on the use of electronic dog training equipment in 2003. After receiving a 'help call' and finding out that my son's dog was about to be given away due to his constant nuisance barking I set out to find a solution. Binty was a medium sized ridgeback-cross, he was annoying the neighbours with constant barking particularly when no one was home during the day. A lot of methods and training had been tried however there was no-one home to monitor or reinforce the training. This is a very common situation we now deal with every day. Unfortunately I was not able to prevent Binty being given away. So I decided to start to increase people's knowledge of electronic dog Training Collars and to supply them with the right product for the dog and the situation they were in. This along with our seven day helpline for support has seen a great many dogs saved from abandonment and has helped improve the relationship between people and dogs. 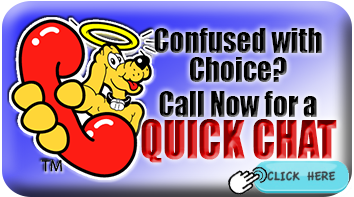 We have helped solve heaps of dog problems before it gets to a point where a dog has to be re-homed or possibly suffer an unfortunate fate. With some research I found products that I felt were very safe, easy to use and offered the flexibility needed to help solve dog problems. I also investigated the other areas where Electronic Collars were achieving great results in dog safety including Radio fences - Pet Barriers Dog Fence and Remote dog trainers for off lead dog training and dog control. We now have a dedicated and caring team of people available to advise you on the use of our equipment and how it can help reduce dog problems helping people to have a better relationship with their dog. Forever growing, we now also offer a number of unique and useful products to help make owning a dog easier for you and The Dog. As important as it is to help reduce the number of dogs being abandoned due to behavioural issues I believe that helping those within the industry that we operate is also part of our mission. 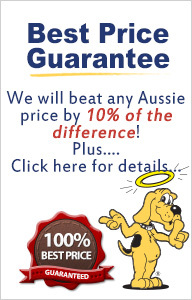 We have been sponsoring and donating to dog re-homing charities for a number of years. So, we are helping re-home dogs that have been abandoned as well as working to reduce the number at risk. Please let us know if there is anything that we can help you with throughout your relationship with our company.